Dorsolumbar orthosis made of thermosensitive material. 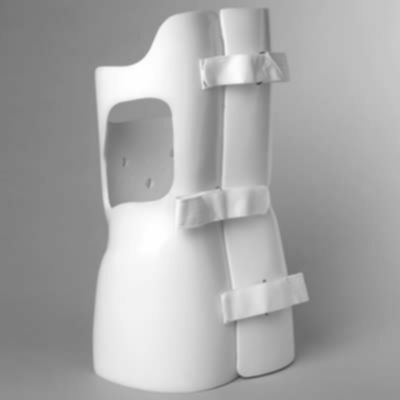 Dorsolumbar orthosis made of thermosensitive material, radiolucent. It is moulded,made to measure. 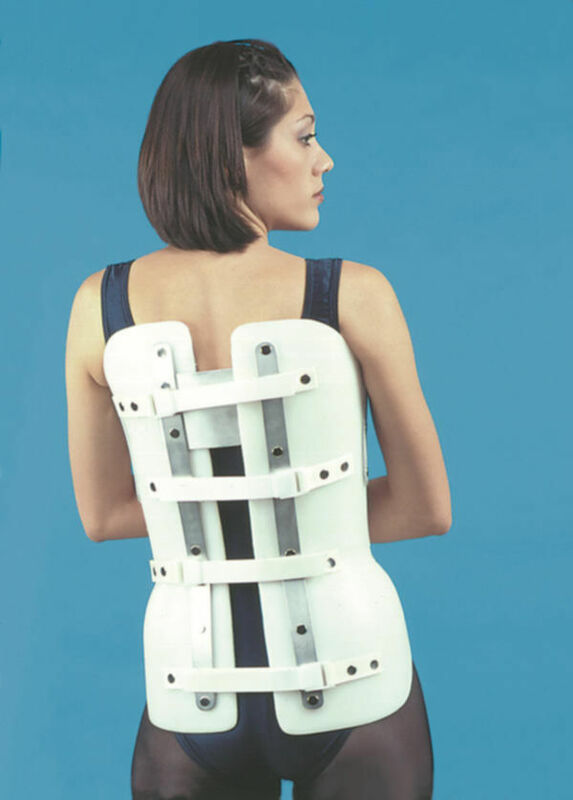 The fastening system is performed through straps made of fabric at the back side, adjustable with special plastic backles. During the fitting various posture correctional pads are inserted, according to the doctor’s prescription. Indications: Dorsolumbar scoliosis, lumbar lordosis and pectoral kyphosis.